I am really excited to be co-hosting this link up with Tiffany and Debbie!! 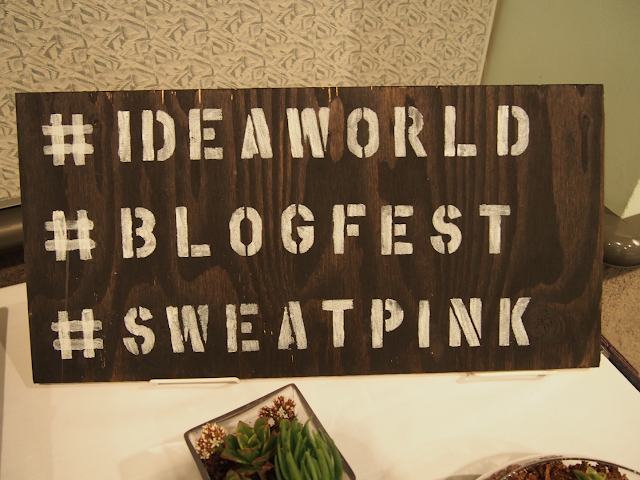 If you attended BlogFest 2015, you need to participate as you’ll have a chance to win prizes! 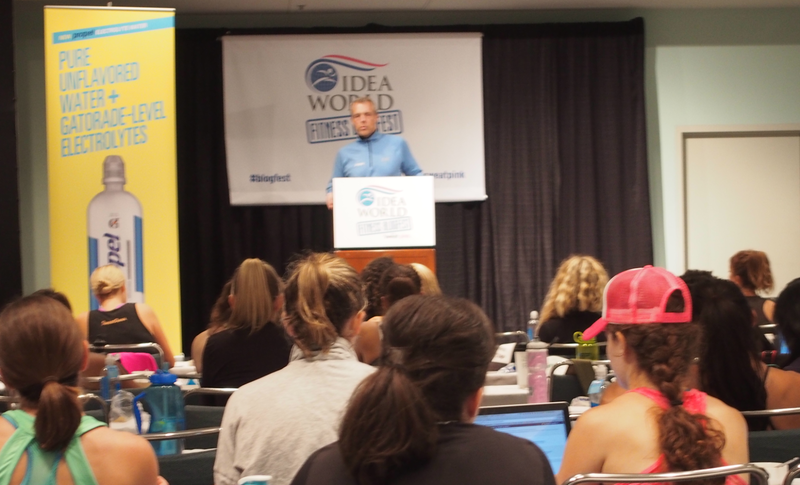 If you DIDN’T attend, you can still benefit from the knowledge/inspiration at BlogFest by reading everyone’s Top 10 Takeaways! 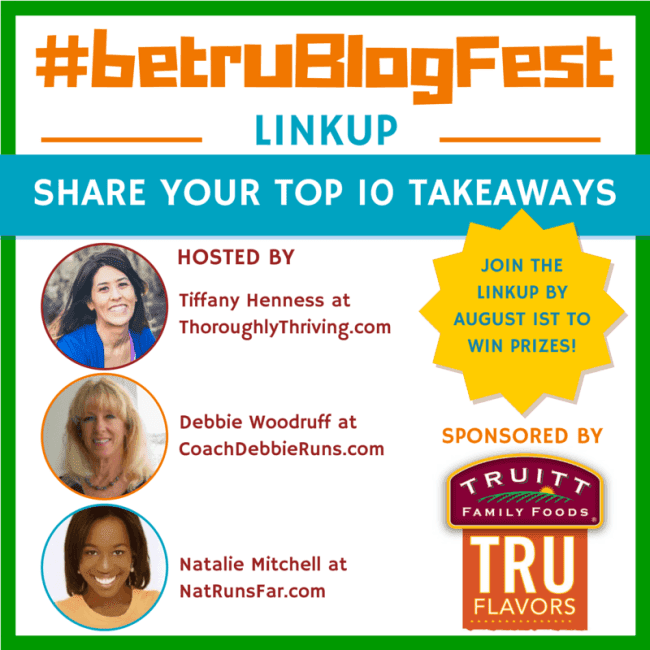 Tiffany, Debbie and I have shared our Top 10 Takeaways; best moments, best blog tips, inspirational speakers, etc. We’d LOVE to read yours, but if that isn’t incentive enough to participate, we have a prize to giveaway! They’ve partnered with us to help you BE TRU to your vision for your blog/business and encourage you to share what inspired you the most at BlogFest and IDEA World. One lucky link up blogger will win a free pair of custom NIKEiD shoes! WOW. Anyone who knows me, knows that I am super passionate about running! When I saw this presentation on the schedule during Idea World, I jumped at the chance to attend. 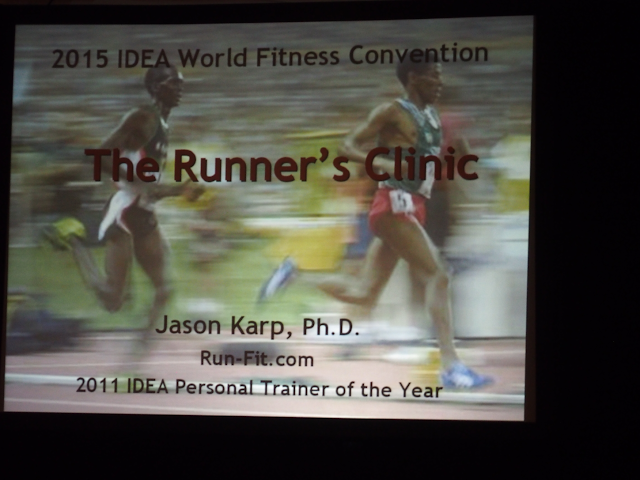 - To become a better runner, the number of miles (or time) run each week is the most important component of training. 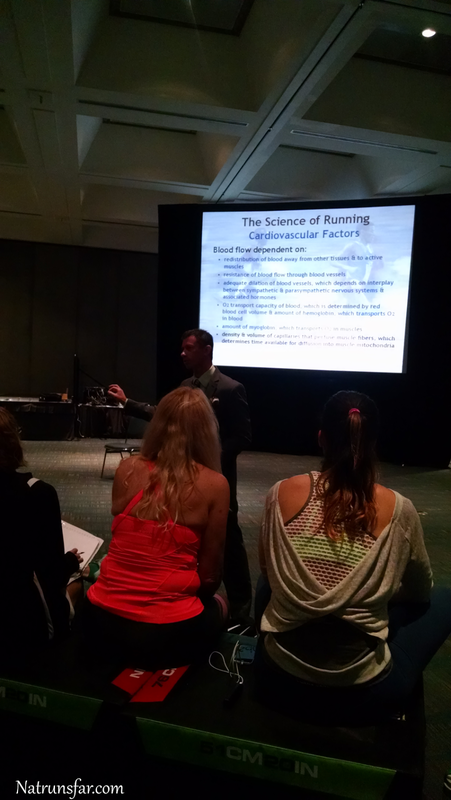 -Pace is not as important as time spent running. -Slowly and systematically increase mileage from month to month + year to year. 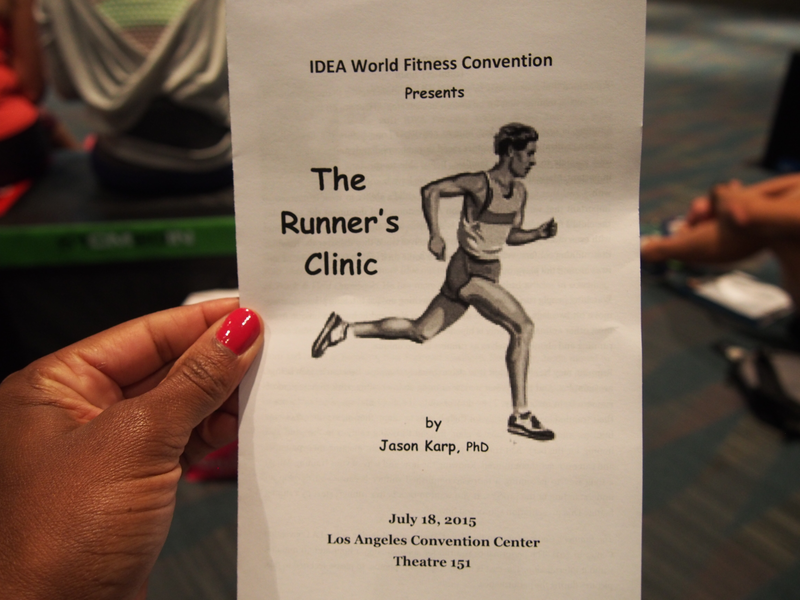 -Every runner is an individual - don't download a plan from the internet (<---- GUILTY). 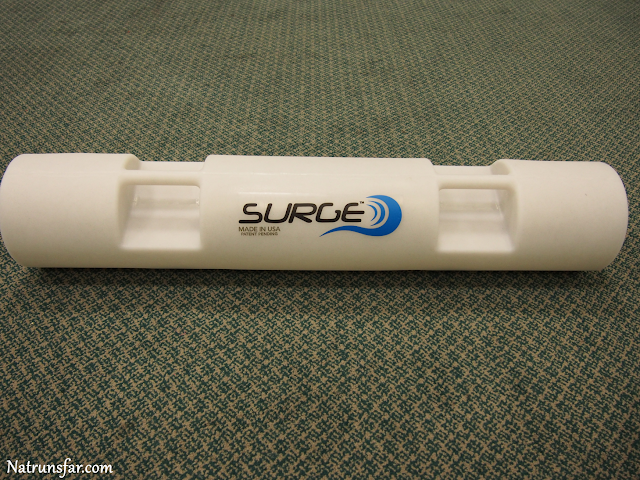 -Long runs shouldn't comprise more than about 1/3 of weekly mileage. 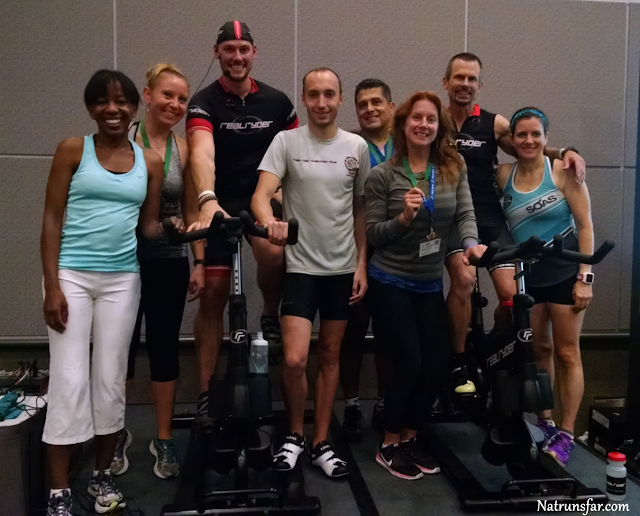 -How to avoid injury ---> Don't increase mileage every week! Never increase volume and intensity at the same time. 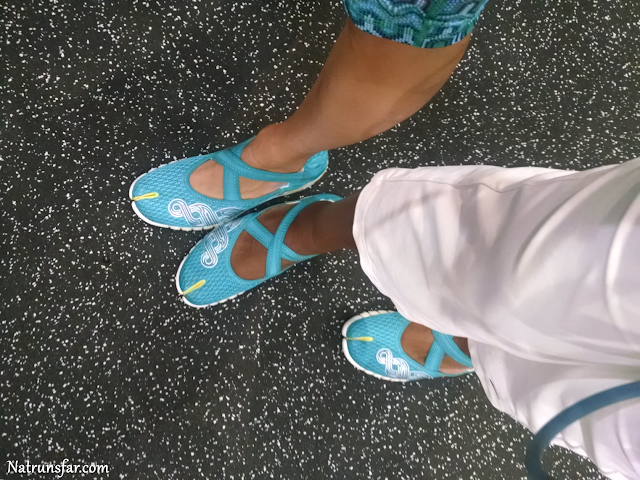 Cynthia, Sandra and I participated in a 15 minute min yoga class and got these awesome shoes from Ahnu Footwear! They are so cute and really comfotable + I love the color = SCORE!! Sandra and I showing off our new shoes! 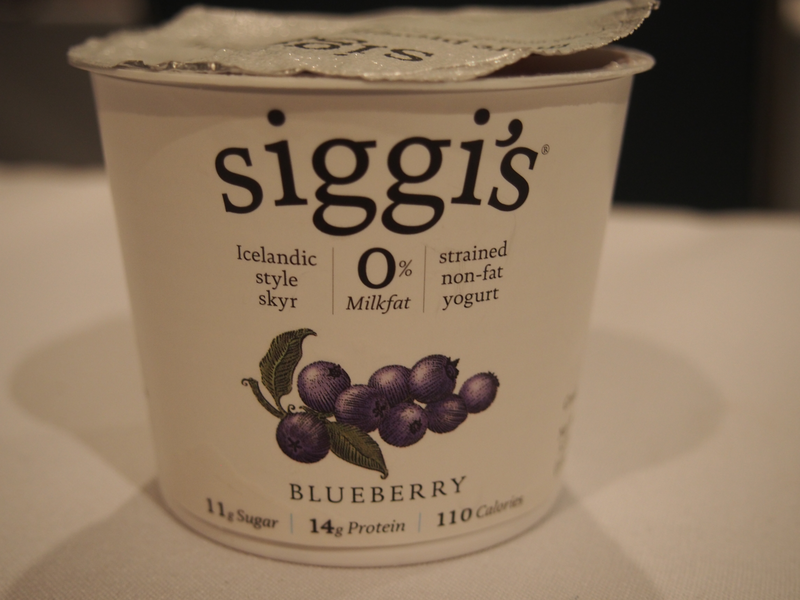 I really enjoyed hearing Siggi talk about making his yogurt and developing the business. Very inspiring and the yogurt is FANTASTIC. I can't wait to pop over to Whole Foods and buy a bunch for my fam! I loved the thick, rich texture and the clean taste. YUM. 4. The BEST Ab workout ever!! I was looking around the room on Saturday hoping to see another SPA sister! 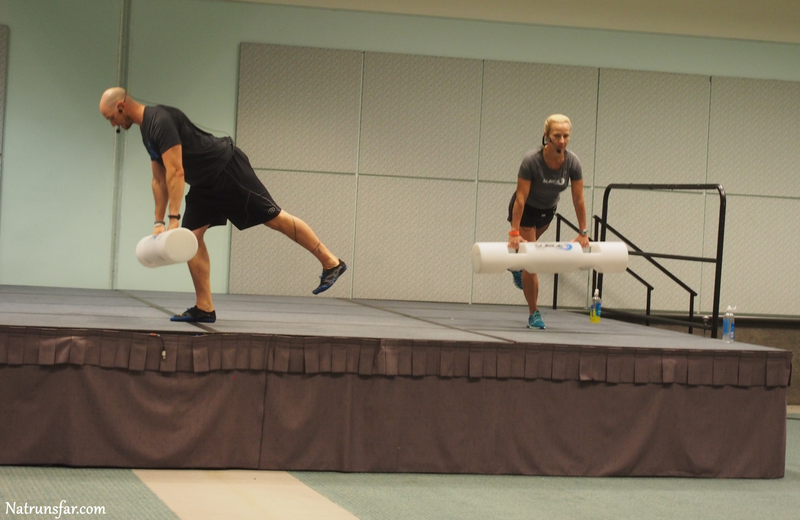 We all want to improve our core strength and this workout was AWESOME. 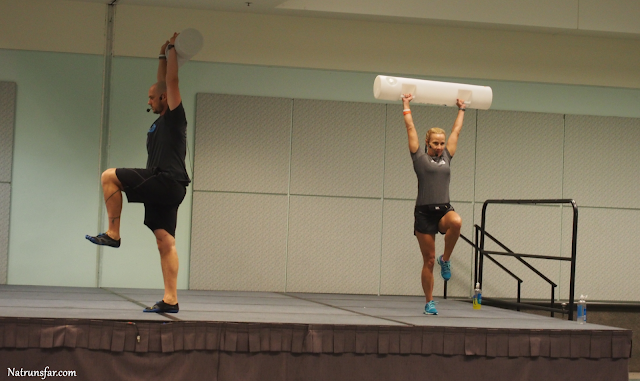 And we were shown a wide variety of workouts! 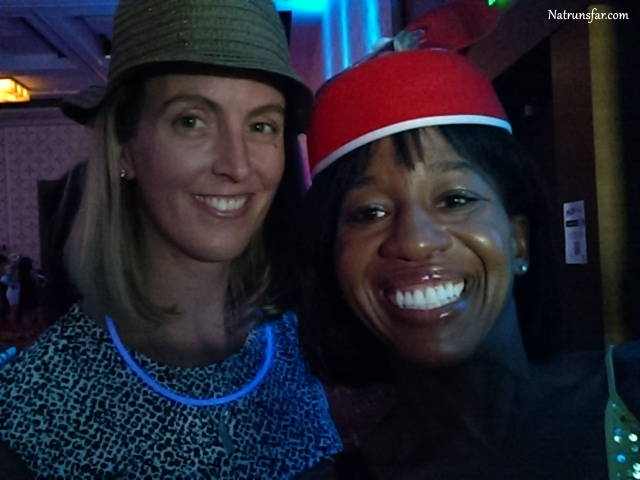 I met so many wonderful people this weekend - bloggers that I follow and others that I knew from social media. Meeting everyone IRL was really special. Business cards were exchanged, friendships were made and fun times were had by all! A huge thank you to Alyse and Jamie for bringing us all together!! 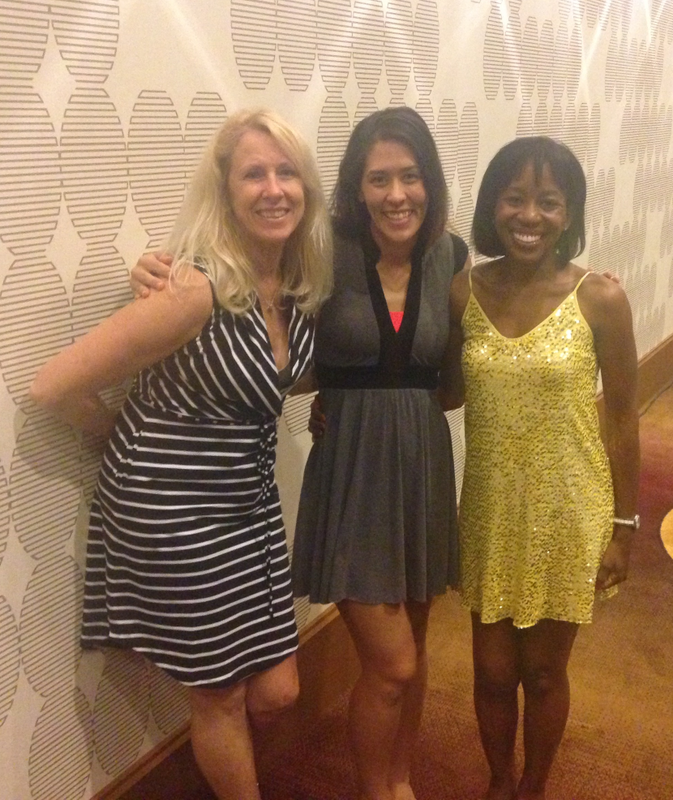 My link up co-hosts Tiffany and Debbie! 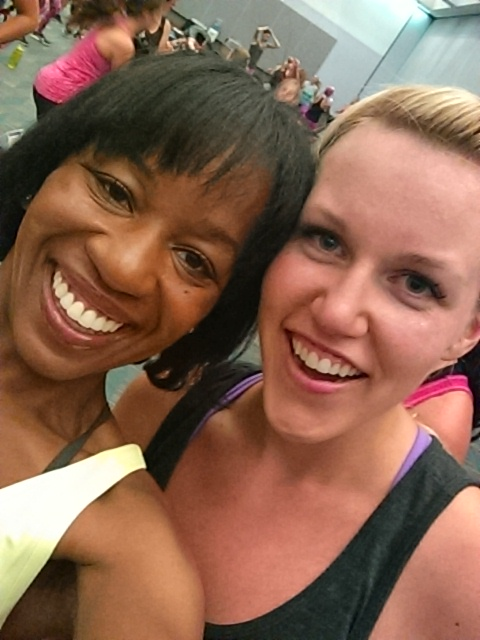 Sarah and I at Gabrielle's workout! 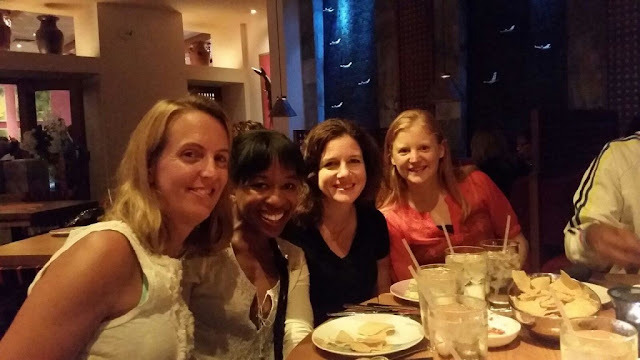 Sandra, Cynthia, Laura and I at a fun Mexican dinner! A great talk from Kasey Arena about growing your Instagram following. -Use @ mentions to get the attention of brands or bigger Instagram account, but also tag them in the photo. -Engaging with people is a good thing! -Don't put unrealistic expectations on yourself with feeling the need to post all day, everyday. 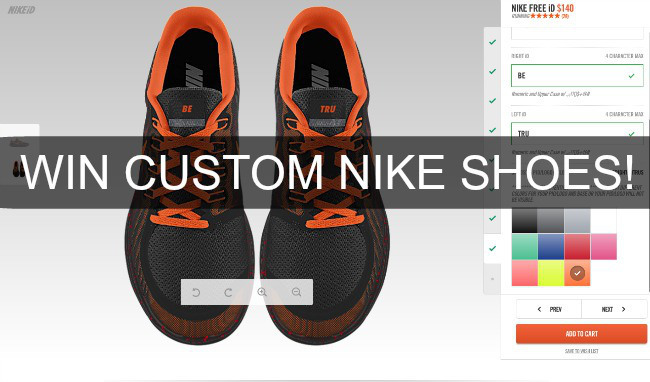 -Don't hesitate to reach out to brands to show yourself using their products. -Pay attention to the time your are posting. Test different times to lead to more engagement for you. Beautiful, smart and funny... we had the incredible opportunity to listen to Gabby speak, workout with her and snag a photo op. A definite highlight!! "Work as hard as you can, but have fun!" "You cannot substitute real food"
"Happy, Interesting, interested in life... that person is dynamic"
Cynthia and I were in the same cycling class on Saturday and it was such a great workout. Perfect for me, as it was low impact and I am all about the bike these days. 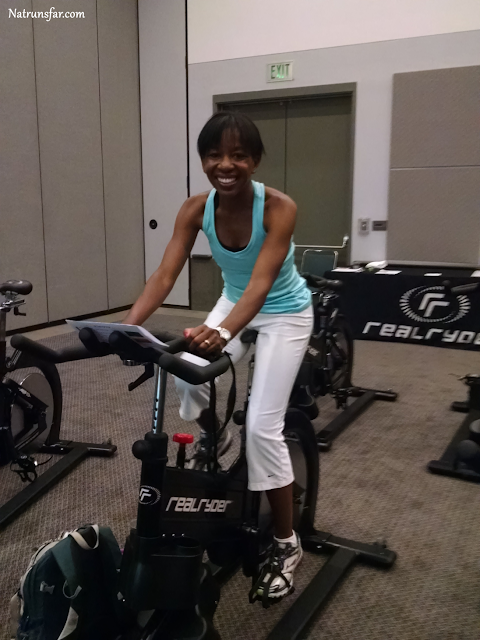 The bike was very cool and Cynthia ended up winning one!!! Woo hoo! 9. Great advice from a celebrity trainer! "Pilates makes your muscles long" - Um, yeah. That's a myth people! "Very light weights = very little results" - Don't be afraid to lift with a heavier weight. "Give you body a chance to recover!" - Hydrate and get extra sleep. 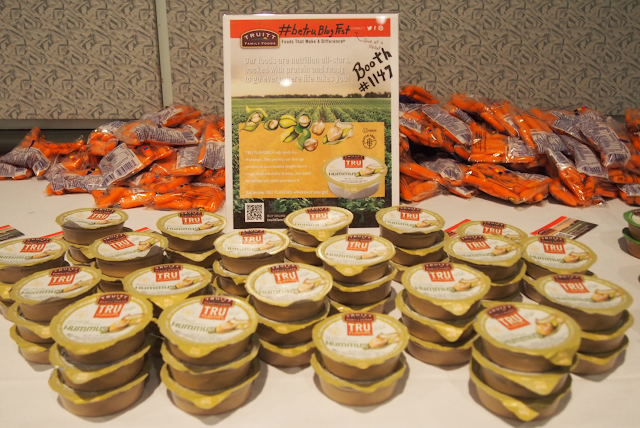 We had a lot of delicious snacks during the weekend, but I have to say I loved the hummus from Truitt Family Foods (who is also the sponsor of this post!). We eat a lot of hummus in our house and the grab and go cups of hummus were so good. I brought some home for my kiddos and they went crazy for it (and they ate their carrots too - win!). Make sure you read Tiffany’s and Debbie’s Top 10! Insert this image in to your post with a link back here. 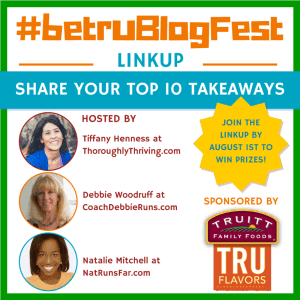 ADD YOUR LINK HERE to join Tiffany, Debbie, Natalie and Truitt Family Foods in sharing your Top 10 Takeaways from BlogFest 2015.